The biggest game retailer in town has posted their earnings report for the past 12 months, and the results are mixed. GameStop recently posted their Sales and Earnings report for the 2012 fiscal year, so get ready to talk some numbers. The year was somewhat rough on the company, with CEO Paul Raines admitting that it was a "challenging year for console gaming." While GameStop profits are up, the retailer took a hit to total sales and reported a net loss of nearly $270 million. As it stands, the company is trying to hold out through 2013 until the launch of the next generation of consoles, which it believes will reinvigorate sales. For 2012, GameStop reported total global sales of $8.89 billion (down 7% from last year) and a net loss of $269.7 million (compared to last year's net earnings of $339.9 million). Despite the overall loss in funds, the company is doing well with profits, reporting a gross profit of $974.9 million, $30 million more than fiscal 2011. Projections for the year of 2013 are optimistic, hinging on a strong year's end. "As we look towards the start of the new console cycle, our industry market model indicates a return to growth with the launch of new game systems," says Raines. "GameStop is strong, healthy, and ready to lead the industry and its customers into the next phase of gaming." The company anticipates a "strong finish" from late-year releases like Grand Theft Auto V, but not much business until then. "GameStop expects the first half of the year to be challenging as customers postpone purchases leading up to the fourth quarter console launch." 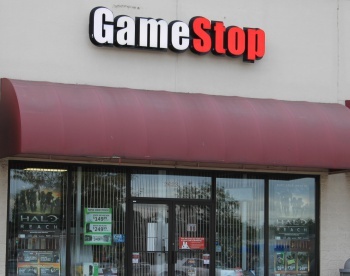 Despite the past year's losses, Raines is confident that GameStop has laid the foundations for profitability moving forward. "We expanded our market leadership position, maintained our financial strength and controlled our spending," he states. "Perhaps most importantly, we invested in our mobile and digital businesses to position the company of future success." We'll see if he was right as the year unfolds.